And there it is! AfriCamps bang in the middle of the uber-popular Garden Route. AfriCamps at Ingwe is situated in the Crags, a lush forest and Fynbos area embraced by the coastal town of Plettenberg Bay where you can experience all the Garden Route is so famous for. Our high elevated tents boast outstanding views of rolling green hill tops surrounded by deep indigenous forested valleys and the Tsitsikamma Mountain Range. AfriCamps at Ingwe is an outdoor adventurer and nature lover’s paradise offering a variety of activities. Visit one of the many popular attractions in the area, or just sit on the private deck of your tent and soak up the tranquil beauty and peaceful sounds of Ingwe’s forest. From Monkeyland, Birds of Eden, Jukani Wildlife centre, Hog Hollow Horse Trails, Plettenberg Bay Game Reserve, delightful canoeing trips up the Bitou & Keurbooms River to a visit to one of the many wine estates around the corner, one is spoilt for choice! Camp manager Debbie Femor is an avid Environmental Educator and a founding member of The Green Ticket NPO and The Southern Crags Conservancy, which is part of the Eden to Addo Corridor. This corridor passes through a portion of the farm where Ingwe is situated. With AfriCamps at Ingwe she invites both adults & children from all walks of life to enjoy and learn about the forest and environment and how to preserve it. Join her on one of her forest hikes and feel her passion for the natural beauty that the area has to offer. Situated between the vibey holiday town of Plettenberg Bay (10 minutes’ drive away) and the quaint village of Natures Valley; AfriCamps finds itself in the centre of the Garden Route. This area is well known for its outstanding natural beauty with mind blowing beaches and ancient forests. 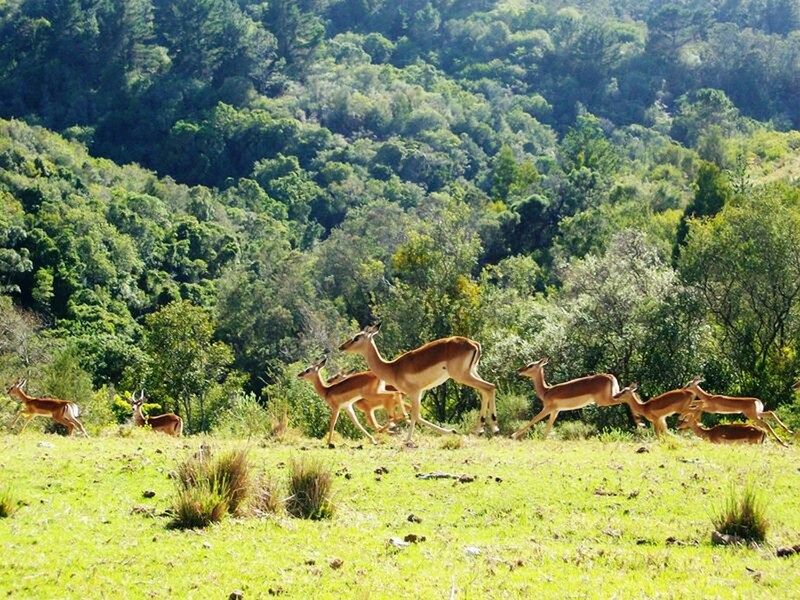 With Knysna and Tsitsikamma National Park both within a 30 minutes’ drive, AfriCamps at Ingwe is the perfect destination to experience it all.